In the release notes for 378.66 graphics drivers for Windows (February 2017), NVIDIA officially spoke about supporting OpenCL 2.0 for the first time. Unfortunately, this is partial support only and, as NVIDIA said, these new [OpenCL 2.0] features are available for evaluation purposes only. We did our own tests on a GTX 1080 on Windows and could confirm that for Windows the green team is halfway there. NVIDIA still has to implement pipes, enable non-uniform work-group sizes (this happens when in ND-range global_work_size is not divisible by the local_work_size), and fix a few bugs in device side enqueue. 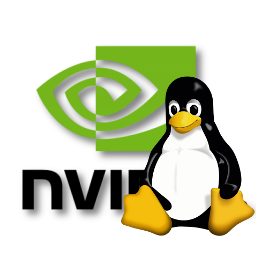 Today we decided to test out NVIDIA latest driver (378.13) for 64-bit Linux and check its support for OpenCL 2.0. Just like on Windows, our GTX 1080 reports that it is an OpenCL 1.2 devices. It is understandable since support for OpenCL 2.0 is only in beta stage. In the following table you’ll find an overview of the 2.0 functions supported by this Linux driver. SVM Yes Only coarse-grained SVM is supported. Fine-grained SVM (optional feature) is not. on Windows Almost OpenCL programs with device side queue we have tested work. but using them cause run-time errors. C11 Atomics Partially Using atomic_flag_* functions cause an CL_BUILD_ERROR error. The host-side functions clSetKernelExecInfo(), clCreateSamplerWithProperties() and clCreateCommandQueueWithProperties() are also present and working. As you can see, the support for OpenCL 2.0 on Linux is almost exactly the same as on Windows. But in contrast with the Windows-drivers, we were able to successfully compile and run several more kernels that use device side queue. It may indicate that this feature is being actively developed and maybe in future drivers it will work much better – for both Linux and Windows. As NVIDIA only adds new functionality to OpenCL driver when requested, it is very important that they receive these requests. So when you or your employer is a paying customer, do keep requesting the features you need. 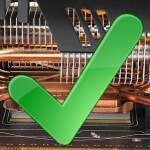 Know that NVIDIA knows that lacking required functionality will be bad for their sales. 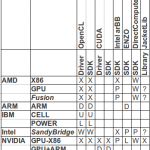 Do your (X86) CPU and GPU support OpenCL? Jakup Szuppe joined StreamComputing in 2016, a collective of performance engineering experts.